A seaside escape can be found at David Hamilton Park in Richmond Hill. In the proposed concept, organic lines and shapes form the water, sand dunes, and grassy hills of this beach-themed playground. 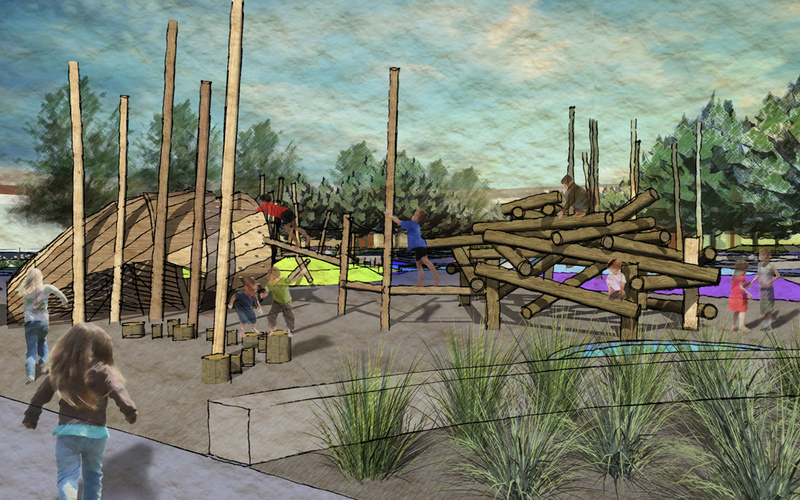 The park integrates a variety of play features in this cohesive design with the use of natural wood materials as a unifying feature of the park. A large conch shell climbing sculpture and a nest climbing feature can be found in the senior area. Play posts and ropes, an embankment triple wide slide and log steppers are integrated into the playground which adds an overall experience to this beach-themed playground.